We provide expert chimney sweeping, pressure washing and duct care and cleaning services at competitive rates. In addition to the thorough inspection and cleaning of chimneys, we specialize in the prevention, detection, and correction of chimney and venting system hazards - the kinds of hazards that can endanger the health and safety of your family and home. Chimney Cleaning Austin, we are the experts! Nature’s Own chimney technicians have seen and repaired nearly every imaginable chimney problems that you could encounter. Whether it is leaking chase covers to complete chimney rebuilds with historic preservation, we can solve your chimney repair needs. All our chimney repairs are backed with the Natures Own Guarantee. If you want your chimney repair performed correctly, then you have come to the right place. San Antonio Chimney Cleaning. Don't take risks with the safety of your family and the integrity of your home. Test conducted at Underwriters Laboratories (UL) have shown a dirty chimney with as little as 1/8 inch of soot (creosote) is highly flammable and can support a chimney fire. A hot fire around 900° F or an innocent, errant spark from your cozy wood stove or fireplace could easily ignite the creosote into a ROARING CHIMNEY FIRE! At the height of a chimney fire, creosote can burn at temperatures approaching 2500° F (5 times the ignition point of new wood). Flames and flying embers can land on the roof of your home or your neighbors', burn through the flue and ignite the wood framing of your home. The intense heat can also cause the flue to crack or collapse thus allowing the interior walls of your house to become hot enough to burst into flame. For over 35 years, Georgetown Fireplace & Patio has been Texas' Largest Fireplace Showroom! Largest Selection in the Southwest Come visit our showroom to see working models of fireplaces, woodstoves, firepits, gas logs and more. Our staff can help you design the fireplace of your dreams and equip you with the information that you need to make the best and safest choices for your home. Whether you need warmth and functionality or aesthetics, we have a huge selection in stock to meet your needs. Outdoor kitchen spaces: We have a functioning outdoor kitchen on display in our showroom with everything – even the outdoor kitchen sink! Grills By: FireMagic, American Made Primo Ceramic Grills , American Outdoor Grill, Memphis Pellet Grill, RCS, Delta Heat Outdoor Furniture: Tropitone, Woodard, Gensun , Prestige, NorthCape, Barlow Tyrie, Mallin, Meadowcraft Our certified service technicians and installers are factory trained and tested annually in gas and wood, to assure you of the highest level of knowledge and safety practices in the industry. We have the utmost concern for your safety and the long life of your investment. Once installed we honor all manufacturers warranties and provide year-round service for the products that we sell. 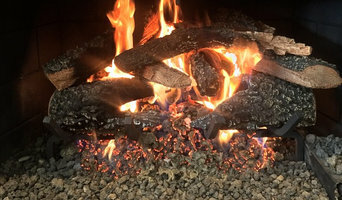 Gas Logs Express & BBQ,LLC is a local family owned and operated business . My name is Dave Brown and I have been in the fireplace and grill business since 1982. I mainly work in the store and do home consultations. Karen is my better half and we have been married for over thirty years. Karen works for Seton Healthcare and has for 15 years. We have four children, Michael , Christopher, Robert, and Kimberly. Michael is married to Melissa and they have four children, Faith, Jaiden, Hailey and Blake. Mike served in the Army for six years, (I am a very proud pops) and is now back home in Austin. Michael works in the store the majority of the time, but helps out with installations when we are very busy. Christopher is married to Tori and they have two children (twins), Cameron and Katy. Christopher handles all of our installations, deliveries and service calls. Chris has been installing for 12 years now and is currently working on becoming NFI certified in Gas Hearth Systems. Kimberly has one child, Jordan, and they live at home with us. Kim helps Chris with the installations, deliveries and service calls. Robert is the free spirit of the family, (keeps me grounded) . Robb works in the store the majority of the time and helps out with installations when we are very busy and also helps with the free home consultations. At Gas Logs Express & BBQ,LLC we still believe, the customer is always right. Our motto is " when you want the job done right from start to finish". We offer free home consultations to measure for gas logs, fireplaces, fireplace glass doors, firepits, BBQ Islands. This way we are able to give you all the options that are available, so you as a customer, can make an informed decision. We look forward to serving you ! Proudly serving Central Texas for over twenty seven years. Medlar Fireplace & Masonry is a small business based out of Austin, Texas – serving the greater Austin area & surrounding counties. We provide & install fireplace systems, gas logs, BBQ grills, Wood Burning Ovens, and Smokers for both Residential and Commercial projects, at a fair price. We’ve built fireplaces in new or re-modeled custom homes, ranches, hotels, outdoor vacation communities, and more. We pride ourselves on being honest, reliable, and hard working people who get the job done right. We take good care of our customers and go the extra mile to ensure that the client is happy. We are glad to work with the clients listed in our portfolio time & time again and are always looking for new opportunities. We would love to meet you if we haven’t met already, please contact us so that we can meet in person and learn more about your business and upcoming projects. Thank you! Epic Concrete Creations is a company pushing the design limits of concrete. We build custom pieces for indoor or outdoor living spaces. Provides affordable chimney cleaning and wild animal removal services in Austin, San Antonio and South Texas. What should you know about buying a fireplace in Wells Branch? Since wood smoke contributes to air pollution, many cities have banned the use of wood-burning units. If you’d like to buy a wood burning unit, check the Wells Branch, TX city policies first. If your home already has a wood-burning unit that you’re concerned about, contact a fireplace manufacturer to replace your wood-burning unit with an environmentally friendly electric or gas alternative. Gas inserts can be efficient heaters and may lower your electric-heat bill. Many adjust to provide high heat on a cold night or a low-burning flame for ambience. Interior fireplaces and mantel designs are as varied as home interiors. 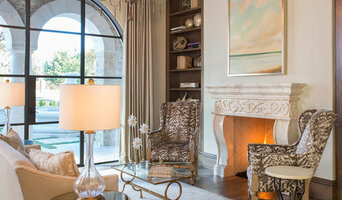 From custom fireplace mantels made to conceal a flat-screen TV to custom hearth designs with elaborate Renaissance-style stone mantels, the latest designs can be found by visiting Wells Branch, TX fireplace showrooms. Find fireplace manufacturers and showrooms, plus fireplace installation professionals, on Houzz. 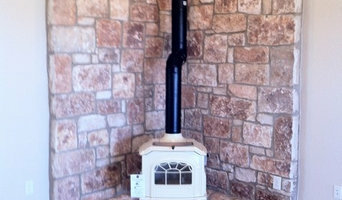 Go to the Professionals section to find Wells Branch, TX fireplace design and installation experts.